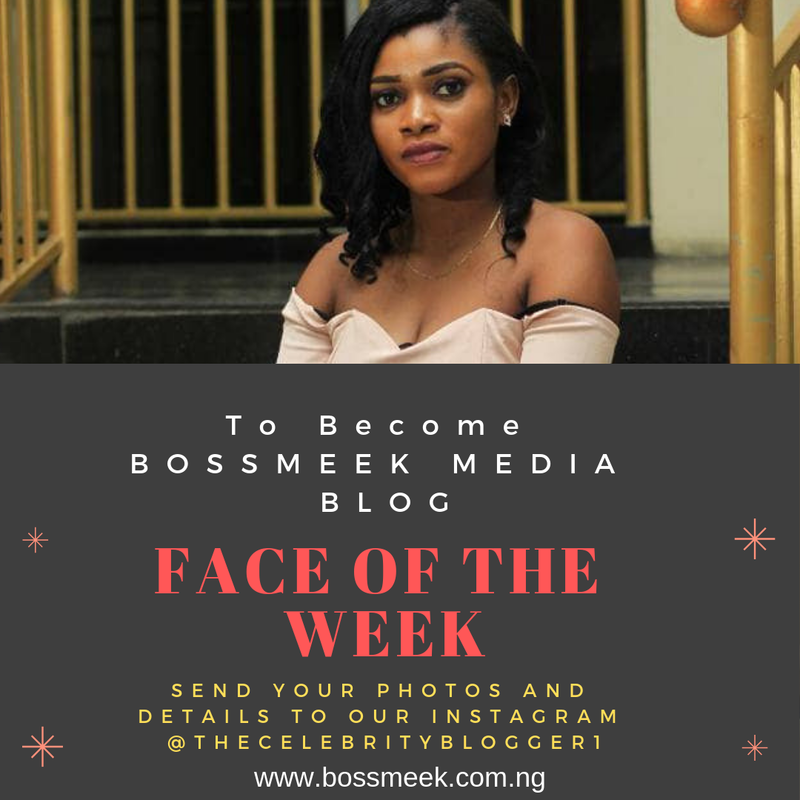 EVERY SUNDAY, WE FEATURE SOMEONE'S PROFILE ON BOSSMEEK.COM.NG, WE SHOWCASE THEIR PICTURES AND A LITTLE ABOUT THEM. The Face Of The Week Could Either Be a Male or a Female. Do you want to Become The Next Face Of The Week? It’s Very Easy And Absolutely Free (AT LEAST FOR NOW ). — SUBMISSION CLOSES EVERY FRIDAY OF THE WEEK. — CLICK HERE TO SEE SUBCEQUENT FACES OF THE WEEK.